The Cass Corridor art movement is Detroit's aesthetic undead. Like a zombie rising up from the earth, it keeps coming back no matter how many times you try to kill it. And not unlike a George Romero B-grade movie, in some respects it's understandable why it continues to hold our fascination. It reflects a place and time of creative foment -- the slum area just south of the Wayne State University campus in the mid-1960s to late 1970s -- when art in Detroit appeared to be serious business indeed. The Detroit art world was in fact pretty robust then. Artists were in their studios hard at work (and in the off-hours even harder at play), a small but intrepid band of collectors were supporting the artists' production, and both of the daily newspapers' full-time art critics (imagine that!) were conceptually connecting the dots and documenting it all. (Side note: My first encounter with the Cass Corridor came as a teenager in the suburbs reading Joy Hakanson Colby's multipage full-color spread on the scene in the now-defunct Detroit News Sunday Magazine.) 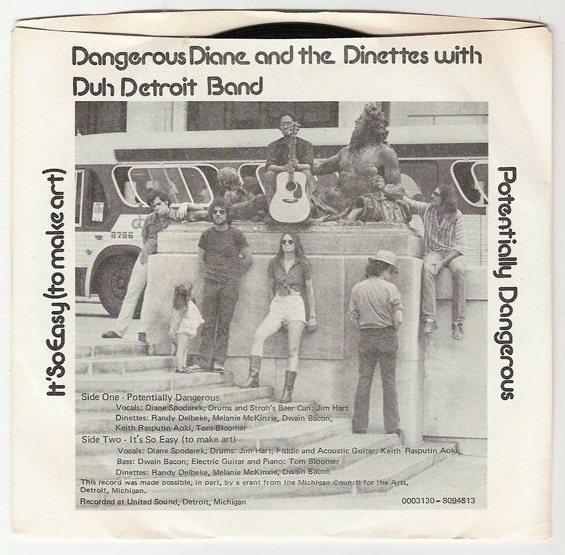 The whole thing was capped off with a blockbuster exhibition mounted by the Detroit Institute of Arts in 1980 titled: "Kick Out the Jams: Detroit's Cass Corridor, 1963-1977." Legends grew up around the major players that echo to this day. One of the caretakers of the Cass Corridor legacy is Dennis Alan Nawrocki, an art historian and curator who was there for a good piece of the action and who from time to time has come forward to draw attention to Detroit's aesthetic heyday. The most recent iteration is currently on view at N'Namdi Center for Contemporary Art in the area now known as the Sugar Hill Historic District in Midtown. The show raises some timely and important questions, and Nawrocki and gallery director George N'Namdi deserve credit for mounting it. The show is titled, Menage a Detroit: Three Generations of Detroit Expressionistic Art, 1970-2012. As the title suggests, the curatorial strategy is to trace a lineage from the originators of what might be termed the Detroit School to key followers who have emerged over the last 40 years. The first generation consists of the acknowledged masters of the movement who were represented in "Kick Out the Jams." These include Gordon Newton, Michael Luchs, and Robert Sestok, as well as other central figures such as Ellen Phelan, Nancy Mitchnick, and Nancy Pletos. The so-called second generation emerged in the 1980s and includes Gilda Snowden, Paul Webster, Kurt Novak, and Cay Bahnmiller, some of whom were also surveyed in a traveling exhibition titled "Guts," which Nawrocki curated 1982. More recently, according to Nawrocki's curatorial scheme, a third generation can be discerned, represented in this exhibition by Scott Hocking, Thomas Pyrzewski, Stephanie Sturon, and Steven McShane. What constitutes a "Detroit style" has never been entirely certain. There's the use of recycled and mundane materials, which didn't really apply to artists such as Mitchnick and late great Bradley Jones (sadly not represented), who were (and in the case of Mitchnick still are) straight-up painters. About the closest thing is this idea of the expressionistic, which doesn't really fit Phelan or Yale-educated Cass Corridor mentor John Egner, artists who were really more concerned about the formalistic properties of material processes and not so much about expression, understood art historically as an individualistic existential/aesthetic response to what philosopher Charles Taylor in his important book Sources of the Self: The Making of Modern Identity terms "radical Enlightenment," i.e., the scientific positivism whose brute instrumental rationality has wreaked havoc on the environment and society for some three centuries. In the work on view, the semiotics of expression appear to be a general character of formlessness, a Dionysian refusal to stay within the lines physically and metaphorically. In his gallery talk on April 7, Nawrocki rightly noted that what at the time was perceived as a regional style with hindsight reflects larger trends in the mainstream art world. Particularly coming out of the 1960s and into the 1970s, the general tendency known as post-Minimalism manifested itself in various locations around the Unitd States, in the form of New Image (AKA "Bad") Painting in New York City, the Imagists and Hairy Who in Chicago, the San Francisco Bay Area Funk, and Pattern and Decoration more broadly, not to mention the work of feminist artists in general. There was also the larger social context, which Nawrocki also rightly mentions and which all of these tendencies reflect. Again there's the influence of feminism (ironic given the testosterone-fueled mythology of the male Cass Corridor artists in particular), but all of the liberatory social movements of the period -- civil rights, antiwar, the youth-quake, LGBT, etc. -- as well. As it relates to Detroit, there are even broader world-historical trends that need to taken into account. To use the lexicon of postmodern political economists, these transformations generally go under the rubric of post-Fordism, the regime of capitalist production that arose in the late 1960s/early 1970s, coincident with the period of the Cass Corridor art scene, to supplant the system first dubbed in the 1930s by legendary jailbird Antonio Gramsci as "Fordism," by which he meant the high wage/high output policies of mass production and consumption pioneered and emphatically realized in the erstwhile Motor City. In contrast to Fordism's capital-intensive standardized, fixed modes of production (what sociologist Zygmunt Bauman terms "solid modernity"), post-Fordism embraces highly leveraged flexible, mobile operations (what Bauman calls "liquid modernity"). In the manufacturing sector, it took root in such practices as lean production, outsourcing and the disaggregation of the vertically integrated value chain. It's the logical evolution of capitalism as foretold by Karl Marx and Friedrich Engels in The Communist Manifesto, summarized in the famous line: "All that is solid melts into air." 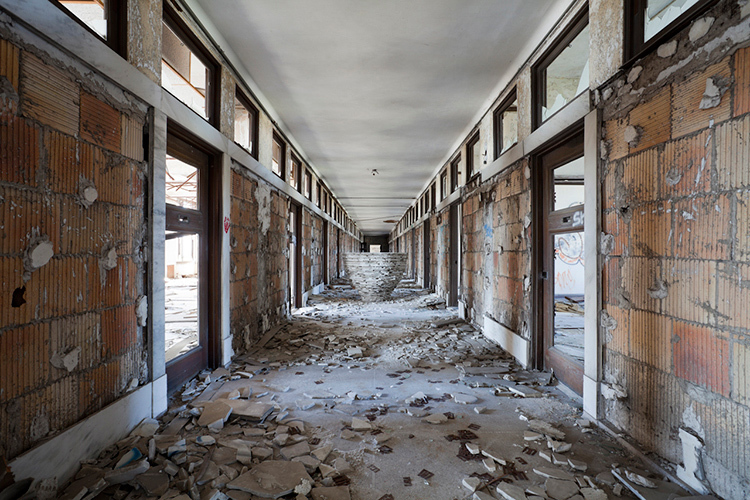 And in Detroit, the dismantling of the Fordist system physically registered in the accelerated hollowing out and collapse of the urban core, a transformation -- documented most notably by Thomas Sugrue in his 1996 book The Origins of the Urban Crisis: Race and Inequality in Postwar Detroit -- that in fact began with the suburban expansion of the postwar period. In the wake of the 1967 civil unrest, the "urban expressionism" of the Cass Corridor took up the broken pieces, physical and emotional, of the increasingly abandoned environment and fashioned them into rambunctious works of art. In the N'Namdi show, this tendency is represented a couple of later works by Newton (the large mixed-media assemblage Oliver Twist: The Old Curiosity Shop, 1992) and Sestok (the steel sculpture Spring, 2004) but most contemporaneously by the stunning 1977 untitled construction by Luchs that uses rusty twisted wire mesh and a stretched out piece of tatty car seat upholstery to conjure up an image of a rabbit at rest in a postindustrial brownfield (an effect somewhat spoiled by the sleek black plinth upon which the work is mounted). Paul Webster, Odalisque, 1989, mixed mediums (Image: courtesy of Wayne State University Art Collection, photograph by Dirk Bakker). In the same way that the second generation of Abstract Expressionists took their cue from and refined the stylistic innovations of the initial masters of the New York School, the second generation of Detroit expressionism arose hot on the heels of the DIA blockbuster and the intense attention surrounding it. 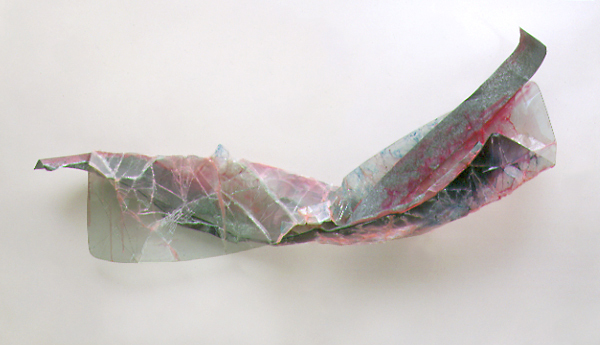 With the city's increasing deliquescence, more and more younger artists began working with recycled materials, which were abundantly present at hand. One such artist, Paul Webster, fashioned suave wall-mounted and free-standing sculptures from such locally sourced materials as recycled sheet metal and automobile windshield safety glass. Nawrocki does local art history a service by retrieving Webster's work from virtual obscurity. Arguably, the most poignant of the second generation was Matthew Blake, who died unexpectedly of a massive heart attack in 2008 at age 43. His mature work, represented in the N'Namdi exhibition by a six-foot wide untitled piece from 1998, collected all manner of cast-off junk and fashioned it into large bas-relief sculptures painted a single color, typically white, unifying the disparate elements of shattered existences into complicated friezes connecting the detritus of Detroit's crumbling modernity with the ruins of civilizations past. Also like the second generation of Abstract Expressionists in New York, some of the more interesting artists are those who moved away from elaborating on received aesthetics to establish their own identity. Perhaps the most dramatic of these transformations is Lois Teicher, who strained her initial embrace of the Motown assemblage technique through the filter of second-wave feminism to come out the other end an unabashed formalist. Her austere welded metal sculptures of geometric forms from the last two decades are a far cry from the untidy productions one generally associates with expressionism. The 1981 sculpture, I Feel Like a Choreographer, which consists of five upright painted wooden containers mounted on struts and wheels, captures the artist at the beginning of the transformation. Ostensibly, a third generation is now at work, extending the Cass Corridor's legacy into the present. Scott Hocking is undoubtedly the best known of the group on view. His photograph The Egg and MCTS, 5932, 2011, documents an ongoing installation he has been working on in the Michigan Central Train Station, the hulking structure that is the first stop on any tour of the fabulous ruins of Detroit. The half-finished egg, visible in the center of the photograph, is shown situated in a hallway on one of the floors in the 18-story office tower that rises up behind the main station buiding, using shards from the broken marble walls that have been almost completely gutted by architectural scavengers over the years. Of course this isn't all there is to the story, as Nawrocki in his essay readily admits. Sandwiched in between the first and second generation of expressionists was a loose confederation of artists I have termed the "Lost Generation" of Detroit art. Working in the late 1970s and early 1980s, this group was aligned with another tendency of the period, specifically, the post-studio practices of performance, video, and installation. Inspired by Fluxus, Conceptualism, Happenings, and the like, the Lost Generation rejected what they perceived to be the provincialism of the expresssionist aesthetic. Among its notable figures were Diane Spoderak, who in addition to making art published The Detroit Artists Monthly, a grassroots journal of aesthetic commentary, and the late Keith Aoki, who later became one of America's leading scholars on intellectual property law. 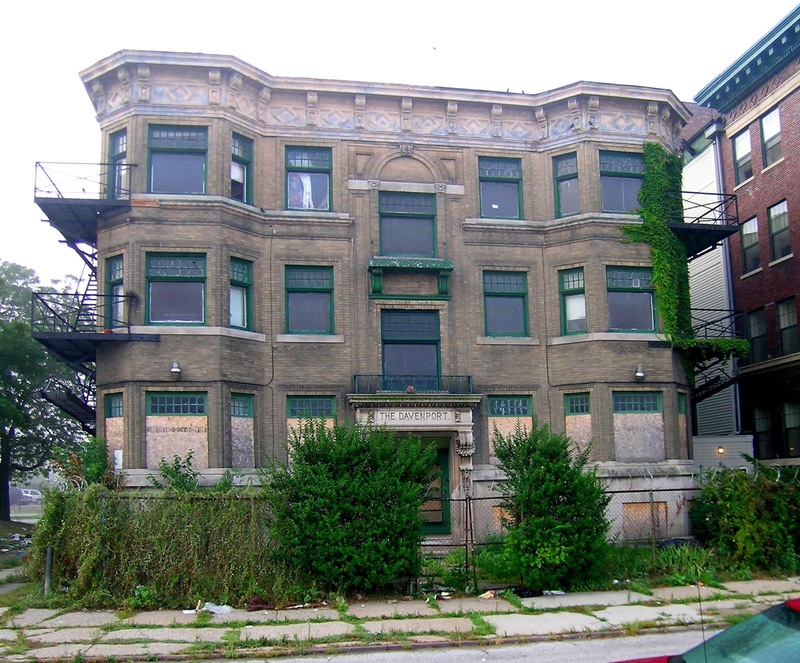 And throughout it all has been the Beaux Arts and Arts and Crafts traditions that have been mainstays of art practice in Detroit going back into the nineteenth century. As I have written in previous posts (see here, here, here, and here), a new practice has emerged in the city in recent years that builds upon the tradition of Detroit-style expressionism. The most important of this work eschews what Robert Bellah, et. al., in their study of American culture Habits of the Heart: Individualism and Commitment in American Life term "expressive individualism," the hyper-narcissistic subjectivity of late-modernity whose excesses have fostered alienation and mistrust and contributed to large-scale social disintegration, a deracination of the national socius in parallel with the atomizing effects of post-Fordist political economy. Instead, this new art engages in social practice, relational aesthetics, and other forms of community engagement. It seeks to imagine community through aesthetic means, to fill the interstitial gaps of capitalist disintegration in order to put into practice ideas that may help to make real the world that the dreamers have us told is possible. I have termed this tendency the "art of the commons." And I hope that by celebrating this new direction we can finally let the Cass Corridor (of blessed memory) rest in peace. "Menage a Detroit: Three Generations of Detroit Expressionistic Art, 1970-2012" is on view until June 16 at N'Namdi Center for Contemporary Art, 52 East Forest, between Woodward Avenue and John R. in Detroit. Call 313-831-7800 for information.